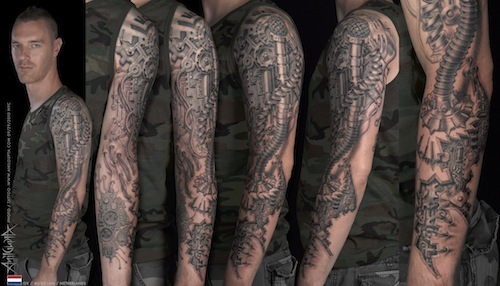 This biomechanical tattoo looks like it’s mixing in with the arm bones to create an illusion of the mix of anatomy and mechanics. 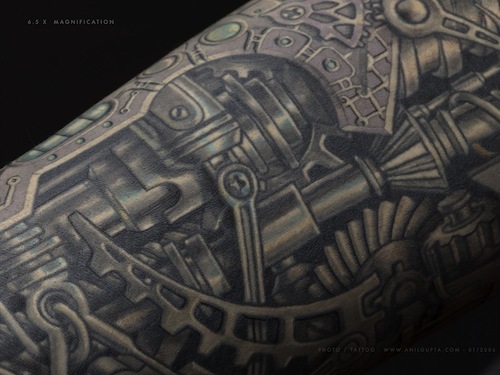 Here’s a close up of a very detailed biomechanical tattoo. 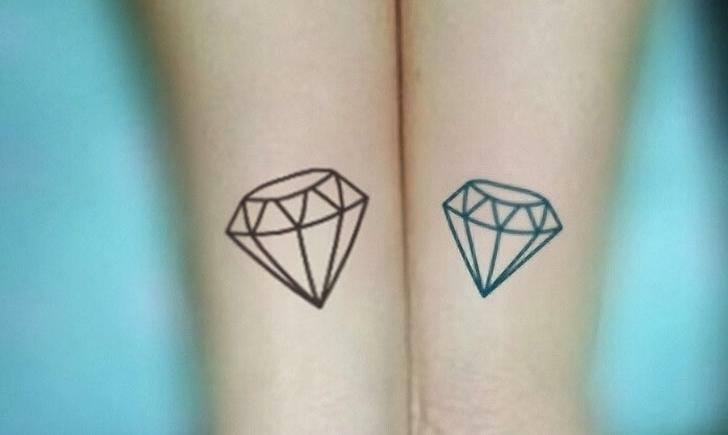 Look at that detail in a very small section of the entire tattoo! 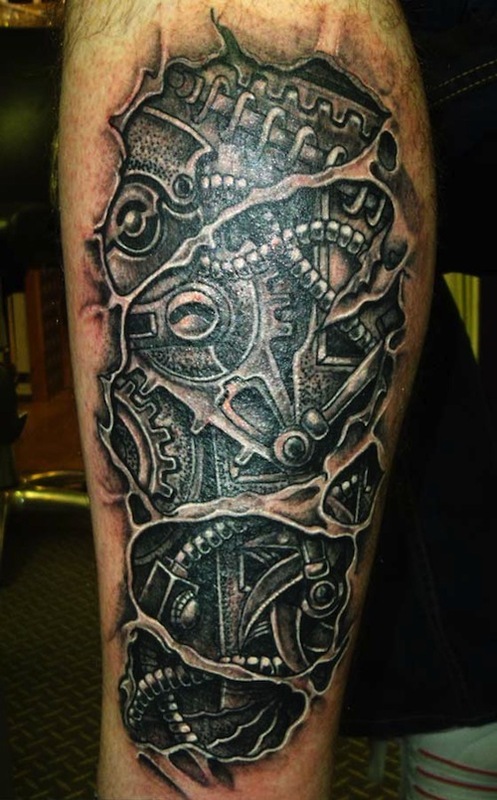 Here’s a biomechanical tattoo that mixes a biomechanical skull along with the rest of the mechanics. 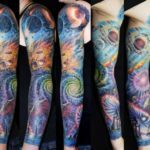 A succinct rectangular cutout, almost suggesting a panel that you could take on and off the wearer, gives a look into the mechanics of the arm. 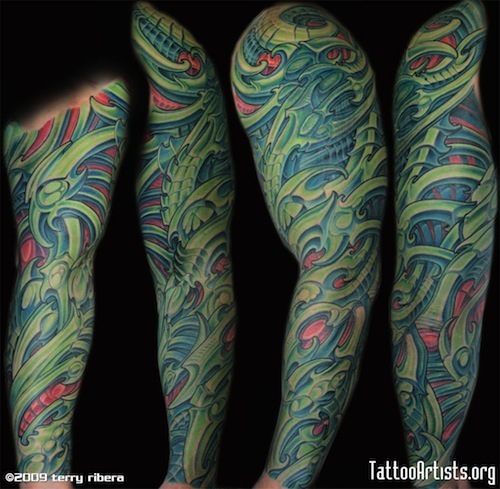 This biomechanical style is more of a bio=organics take, as the shapes and colors are more organic than industrial. 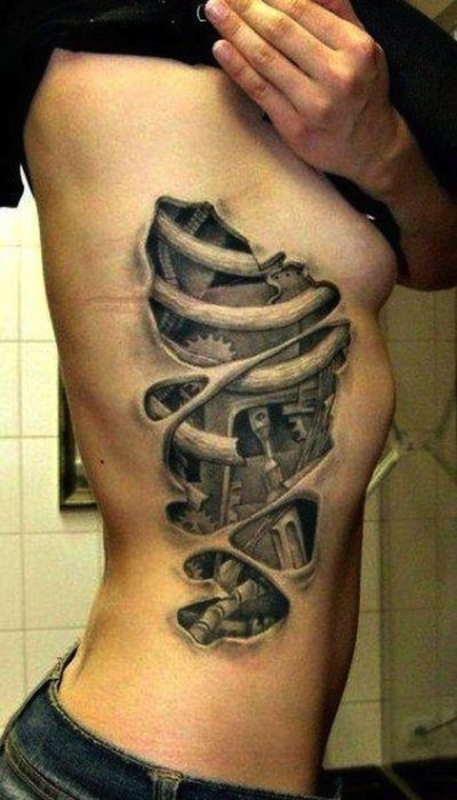 Still very cool example of the biomechanical style! 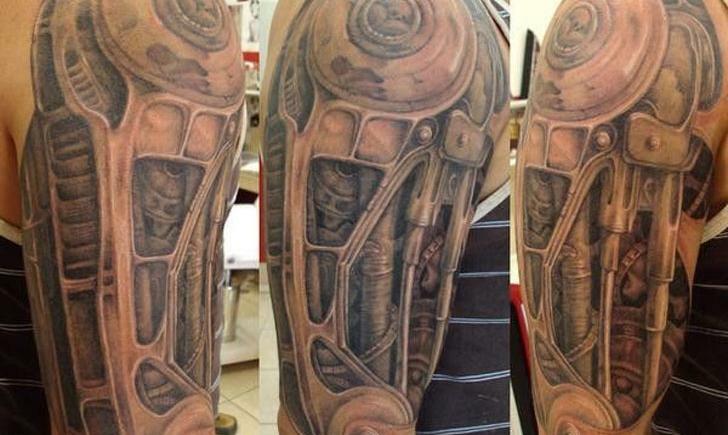 This biomechanical tattoo is truly eye catching! 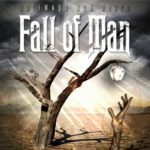 It looks as though the skin is being melted or torn off to reveal the mechanics inside the torso. 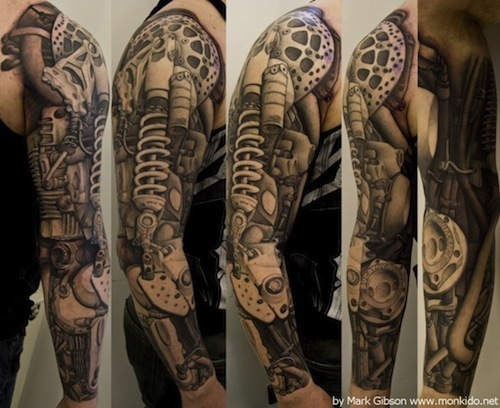 A black and gray biomechanical sleeve. 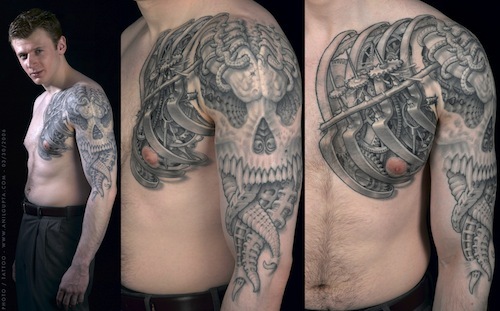 Check out the shoulder mechanism! 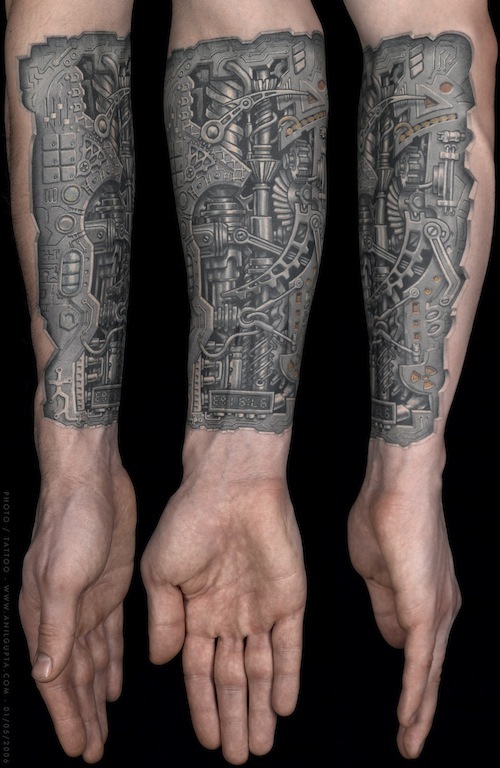 Another classic example of a black and gray with lots of detail. 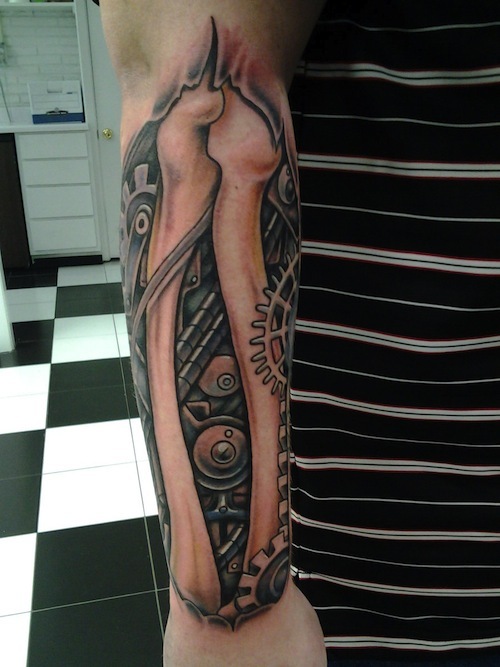 This biomechanical tattoo is very bold with large components, especially that spring! 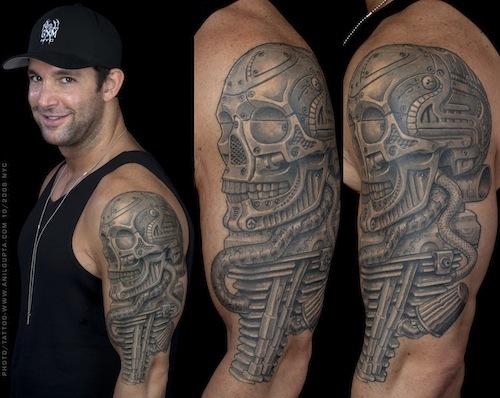 Here’s a half sleeve, shoulder, and partial biomechanical tattoo with lots of delicate detail, including a skull’s face incorporated into it.